Even though we pride ourselves on capturing emotion and emotional moments, sometimes it's good to slow down, close your eyes, and just breathe with your new spouse. The contented faces on this couple are testament to their happy day, while showcasing the fascinating sculptural beauty of the Sculpture Gardens, which has taken over the former property of the artist, Ann Norton. 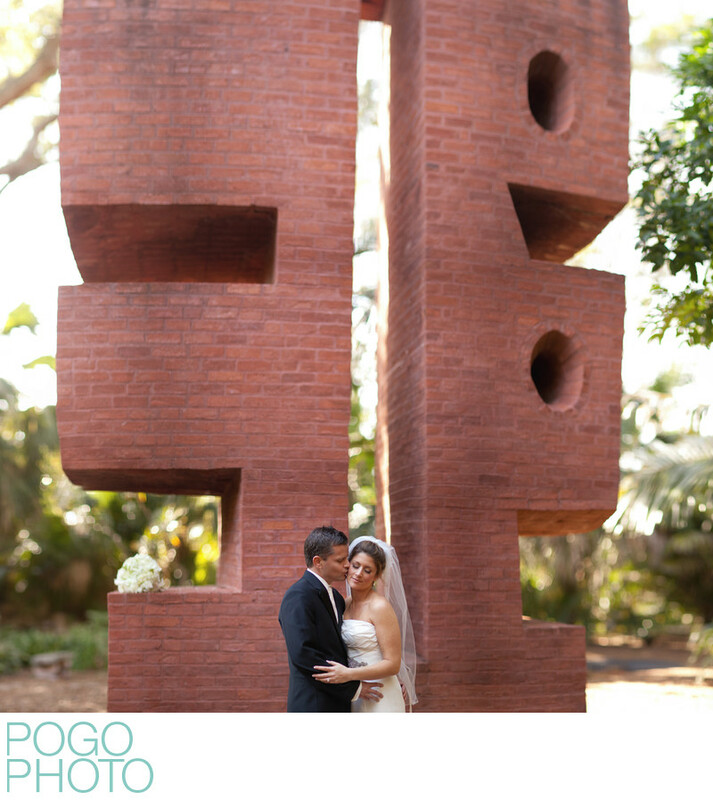 In this case we chose to use the 85mm ƒ1.2 lens to create a many-image stitch, or bokehrama, to further isolate the subjects (in this case the couple and the sculpture) from the background. Using this technique essentially widens the camera's sensor so as to capture much more information than would typically be captured, becoming the equivalent of a large format camera, with enormous file sizes that can be printed as huge wall art. Choosing to capture square images is something we like to add into our work, as they can have a different feel from other common aspect ratios. Hearkening back to the glory days of medium format film, square frames are reminiscent of Hasselblad and other cameras that shot square; we find that the “bokehrama” concept fits well with square images for this very reason, since it’s essentially emulating the larger format of those old cameras. Though we don’t personally choose to shoot with actual film for many reasons (which we are always happy to discuss), we do still love the film aesthetic and choose not to make our images too “punchy” or digital feeling. 1/1250; f/1.2; ISO 500; 85.0 mm.